Looking for a great side dish to go with any protein — chicken, beef, pork or fish? Well, here you go. 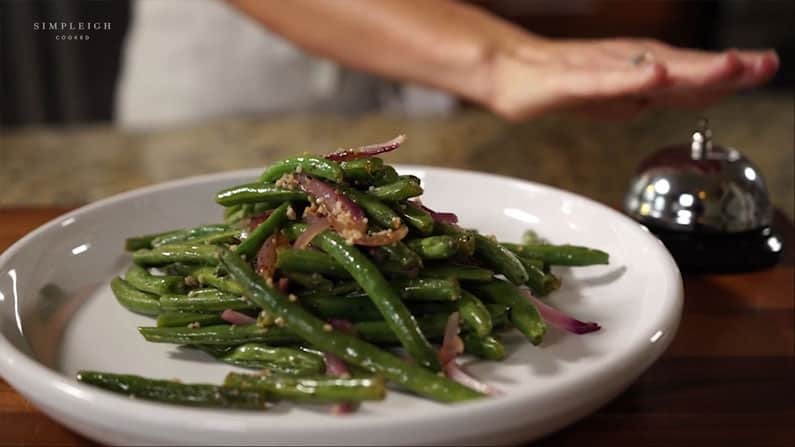 Fresh green beans, red onion, garlic and olive oil: simple ingredients that somehow combine to be amazingly flavorful. And the oven does all the work! Place green beans in 9x9 baking dish. Toss with hands to coat well. Using a medium platter, pile ’em high and watch ’em fly.